The recent downturn in the economy has had a disturbing effect on people’s financial futures. The ripple effect of this economic downturn has left families facing major financial challenges. With challenges, however, come great opportunities. Concentric Financial Group was founded with the ideal of reaching out to those who are often overlooked by the financial services industry. 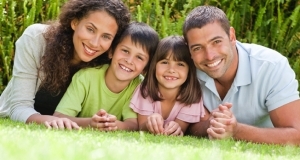 There are approximately 80 million households in this country that are considered “Middle American” families. These Middle American families have been hit particularly hard in recent years. They were not wealthy enough to have weathered the economic downturn without having to downsize considerably nor did they did not qualify for the government safety programs afforded to those less fortunate. They fell somewhere in between. Concentric Financial Group isreaching out to this marketplace, bringing the best that Wall Street has to offer to Main Street. The opportunities provided by these challenges are exciting and historic. Never before in the history of this country have more people been affected financially than at this moment right now. The demand for financial advice is at its all-time high and more people from more age demographics are desperately looking for help. Baby boomers (those born between 1946 and 1964) are retiring at a rate never before seen. These baby boomers are looking for secure products to protect them from another economic downturn yet give them upside potential to pare some of their losses. They also recognize the increasing need for Long-Term Care and Final Expense insurance coverage. We can accommodate them. Those in Generation X (born between 1964 and 1982) are entering into their highest income earning years and they are looking for wealth accumulating, tax advantaged vehicles that will allow them to avoid losses due to potential economic downturns. We can accommodate them. The Millennials (born between 1982 and 2000) find themselves entering into a very competitive career workforce for the first time in their lives. Many have young families and they are looking for cost effective insurance protection to protect their families in the event of a devastating event. We can accommodate them, too. Concentric Financial Group is in a position to help families and individuals from all walks of life, regardless of their current financial status. From 401k rollovers, to wealth accumulation to life insurance and retirement planning, Concentric Financial Group is the one stop solution. Build Personal Wealth. Live Life on Your Own Terms. Our Associative have the opportunity to rank among the highest paid individuals in the country. We provide our associates with the resources needed to effectively build their own business. Click below to see if the opportunity may be right for you.